Disputed country Kosovo has become the 205th member of the International Olympic Committee (IOC), making it an official Olympic Nation and allowing it to field a team at the 2016 Olympics in Brazil. Its full acceptance came at an IOC meeting in Monaco on December 9, after being granted "provisional recognition" in October. Kosovo's admission process has been ongoing for five years, and the self-proclaimed country was denied the chance to participate in the London Olympics of 2012. However, one Kosovan athlete attended the games with the team from Albania, a neighboring country with close cultural ties to Kosovo. 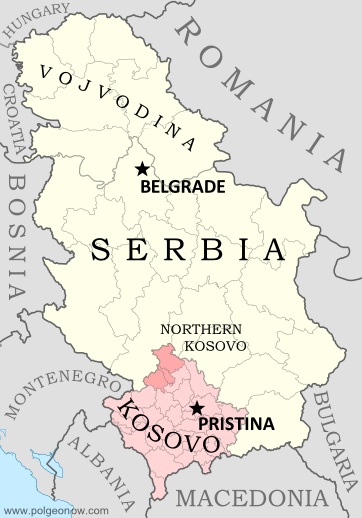 Located in southeastern Europe, Kosovo controversially declared independence from Serbia in 2008, while under the control of UN peacekeepers. Since then, it has been recognized as independent by over half of the world's countries, including the US and most of the European Union. However, Russia, China and many other countries still consider it to be rightfully part of Serbia. Serbia strongly opposed Kosovo's admission into the Olympics, arguing that Kosovan athletes had been invited to join the Serbian team. However, in the name of good sportsmanship, Serbia's Olympic committee has declined to file a formal protest. Kosovo will become one of only three disputed countries allowed to send teams to the Olympics, after Taiwan (participating as "Chinese Taipei") and Palestine. Other breakaway states, like Western Sahara, Abkhazia, and Northern Cyprus, are still shut out. Most Olympic Nations are fully-recognized UN member countries, but the rules don't explicitly require that. Official IOC regulations say only that every new member must be an "independent State recognised by the international community". This has often been assumed to mean UN membership, but the IOC apparently decided it's good enough to be recognized individually by 107 out of 193 UN member countries. The last time the IOC admitted new members was in 2007, when Montenegro and Tuvalu both joined. Both of those countries were members of the UN prior to becoming Olympic Nations. Which Countries Are (and Aren't) in the Olympics? Which Countries Recognized Kosovo as Independent?